Today, I am very excited to share with you all these different masks ranging from hydro-gel, lip, eye and sheet masks!!! I also have another giveaway for your all, so please stay-tune. 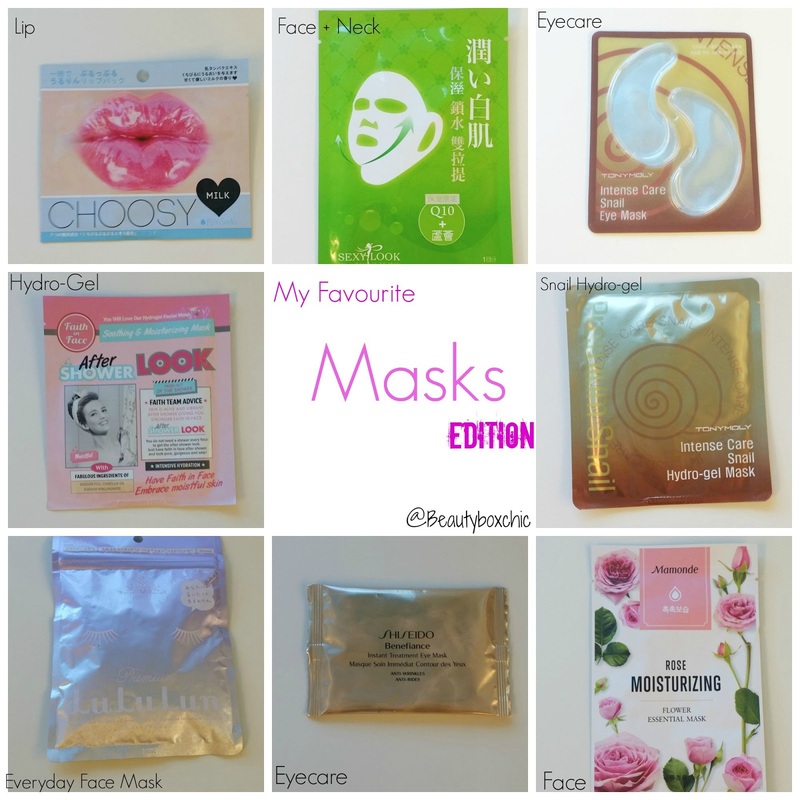 If you know me well, you would know I am a masks fanatic, I used masks every twice or three time a week and have incorporate this as my go to routine. Read on for my thought on these various masks + new giveaway details!!! Hydro-Gel MasksTony Moly Intensive Care Snail Hydro-gel Mask ,is made in Korea. My sister first introduce me to this amazing product when she first purchased this over at the TonyMoly retail store in Hong Kong. This hydro-gel mask is slightly expensive compare to other masks but it defintely worth trying. This mask works really well on my prone-sensitive skin. I have no irritation after used. In addtion, I love hydro-gel mask design, texture and cutting. Each package come with 2 sheets, 1 cover the upper face, the 2nd sheet cover the lower face. Once the mask is place on the face not only does it firmly stick onto the skin, it also doesn't move or glide away like sheet mask do. After used, my skin feel firm, brighten and moisturize. After Shower Look Hydrogel Mask , also made in Korea. I purchased this from a Hong Kong cosmetic store. 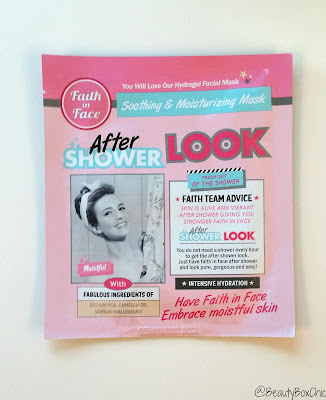 This mask claims to "moisturize + soothing" skin - Faith in Face This is another hydro-gel mask I love using, each package also come with 2 sheets (upper and lower part of face). This masks glide on very well, it firmly stick on the face due to the gel-txture. After used, the skin feel hydrated and refreshed. Simply SexyLook Face + Neck Sheet Mask (All-in-one) is made from Taiwan, main ingredients consist of Q10 + Aloe Vera extract. This sheet mask is suitable of all skin type, even on prone-sensitive skin. 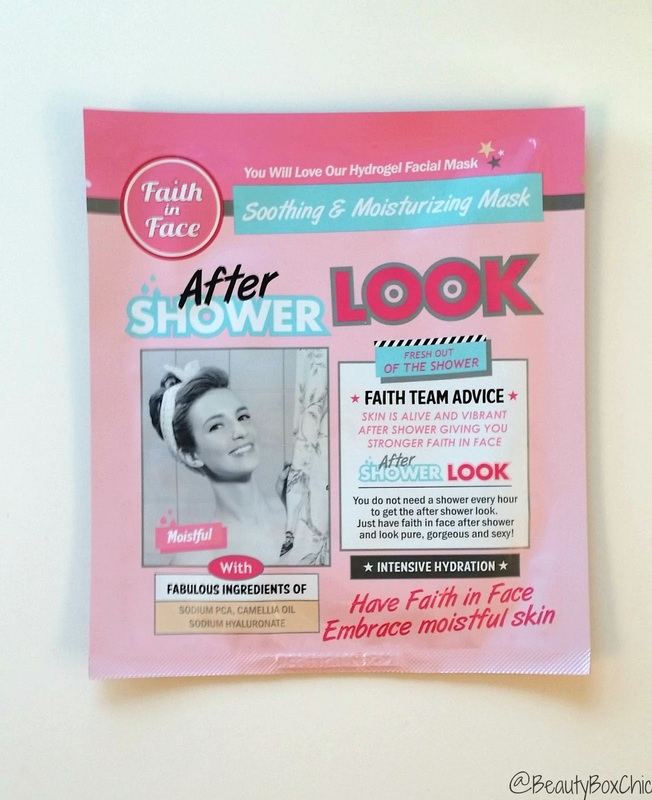 The scent is extremely mild and the sheet mask is very well designed. I really love how the mask has the "chin lift" feature where it cover the entire face/neck area by neatly tucks over your ears with the two hooks. This creates a tight fit over the entire face + neck area. The skin feels firm, hydrated and moisturized. 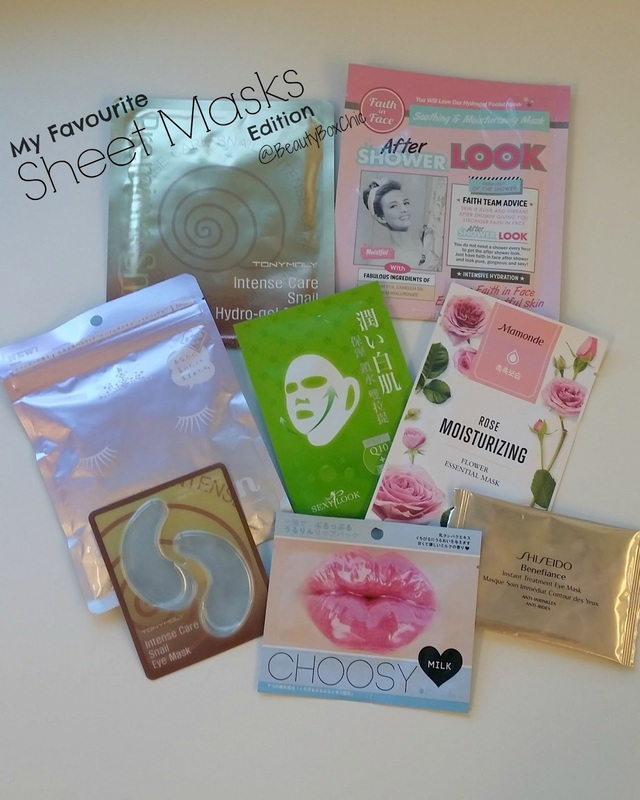 If you are looking sheet mask to try out, you must check out their products out. I definitely recommend this product. I havent come across any other masks that has the "chin lift: feature where it can be apply the sametime for both the face + neck area, this is an amaizng design by Simply SexyLook. Lululun Facial Sheet Mask is made in Japan, my sister purchased this from her Japan trip. 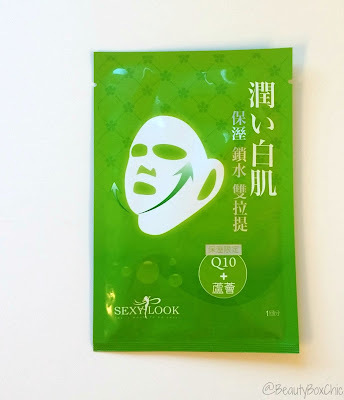 This is one of the best selling mask in Japan, each package come in a resealable bag which is extremely travel friendly. This mask can be use daily, each pack come with 7 piece of sheet mask. 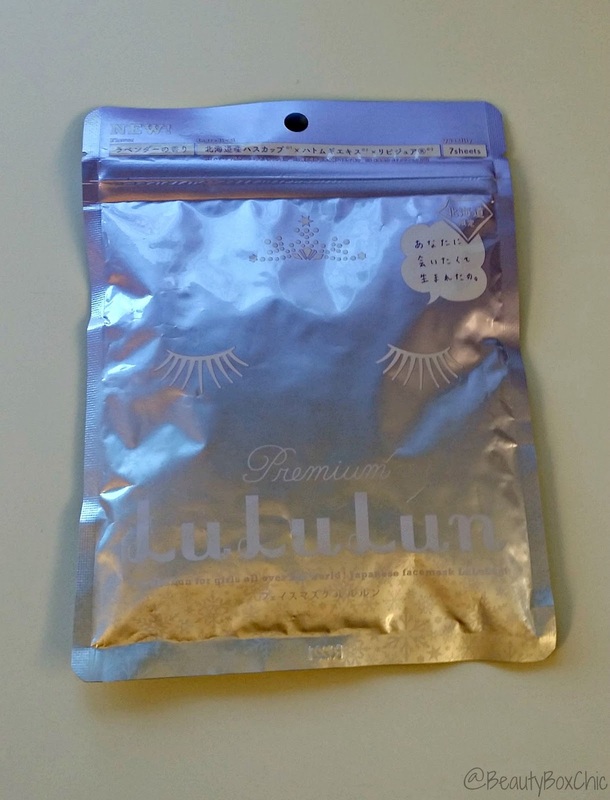 The main purpose of Lululun sheet mask is to hydrate the skin. However this masks is quite thin and does easily slip off comparison to other masks, the design is not as good. 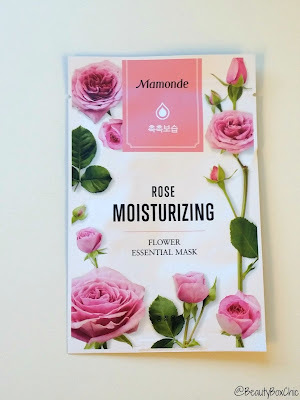 Mamonde Rose Moisturizing Flower Essential Mask is made in Korea, this was given to me as a gift from one of close friend. The scent is quite strong compare to other mask. I am not a fan of the scent. However, I have no irritation/sensation after used. 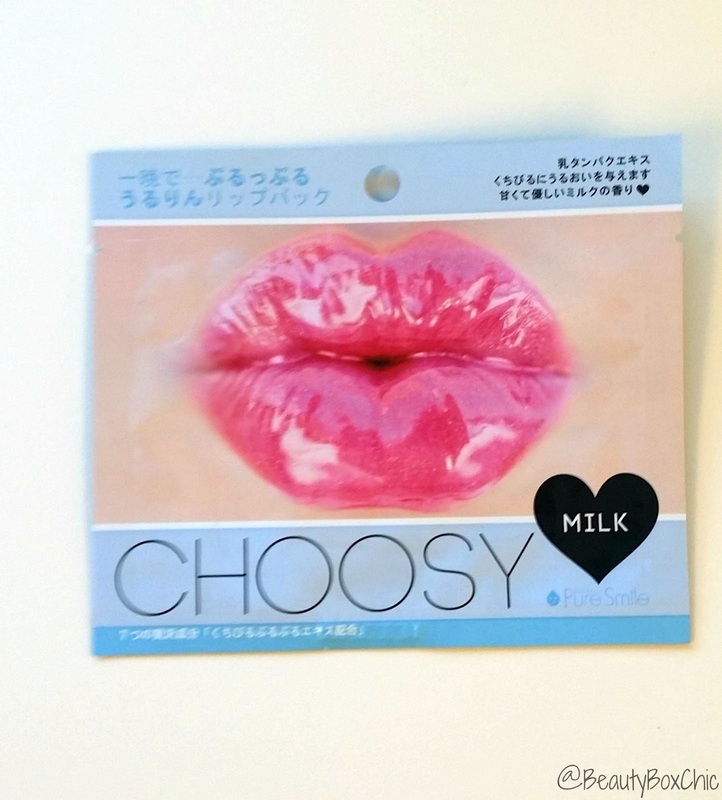 Pure Smile Choosy Lip Mask is manufacture in Korea but very popular in Japan. I have written a review on this product before, you can check out my full review by clicking here. This jelly lip mask helps reduces fine lines by moisturizing the lip area. It keep your lip feeling soft and hydrated. It has five scents to choose from including: Milk, Fruit, Honey, Peach and Herb scent. 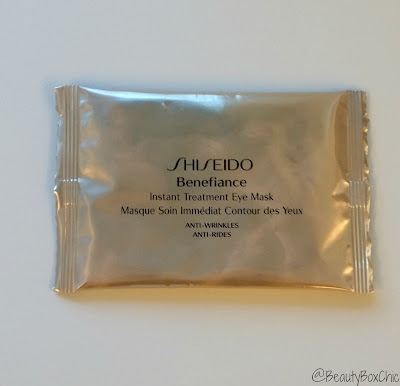 Shiseido Benefiance Eye Mask main purpose is to reduce the appearance of wrinkles in the eye area, while brightening and minimizing darks circle. My eye area does feel firm and smooth after used. This eye mask is slightly expensive compare to other mask I am currently using. 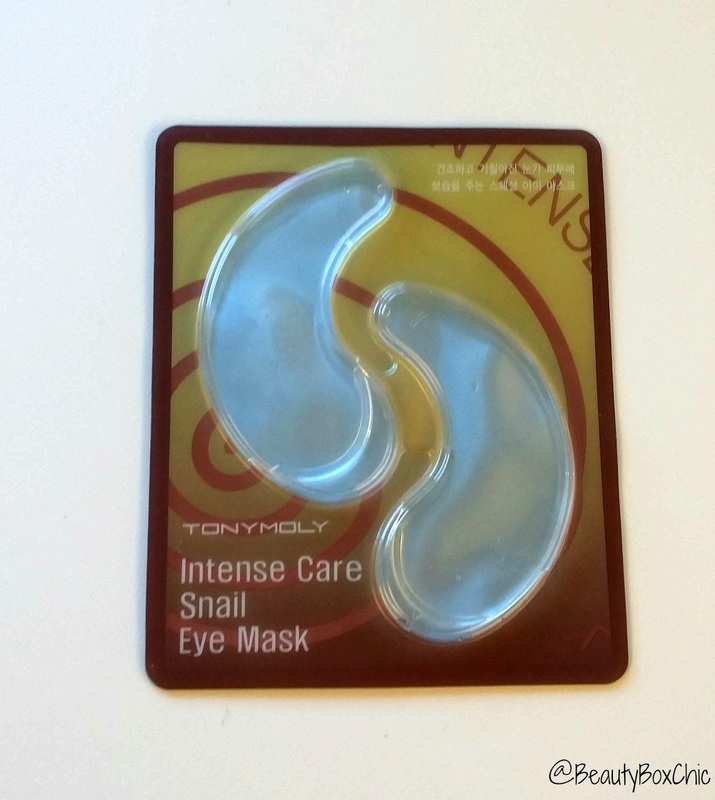 TonyMoly Intense Care Snail Eye Mask mad in Korea, this is a hypoallergenic hydro-gel eye mask that is suitable for all skin type. TonyMoly has always been one of my go to products in term of skincare. 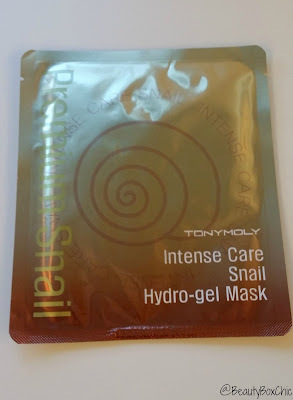 TonyMoly products works well on my prone-sensitive skin. I really like this gel eye mask, it moisturize and hydrated my eye area. If I have to pick from the above, my top two favorite masks are (TonyMoly Intensive care hydro-gel face mask and the Sexylook Face + Neck mask) Overall these two masks leave my skin feeling smooth, fresh and awake. What is your favorite go-to masks? I love to hear your thoughts. Rmemeber to check out below for my Masks Giveaway!!!! 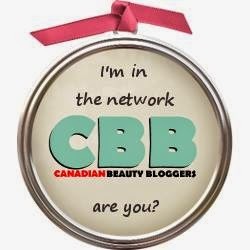 Giveaway is open Canadian residents only. Entries will be verified. Please ensure you have completed the task prior clicking "Enter", those who hit "Enter" without completing the task will be disqualified. First 3 entries are mandatory!!!! Please use the below box to submit your entries. The more entries you complete, the higher your chance of winning :) See below for further details. Ends October 01,2015. Winner will then be selected on October 02,2015. First 3 entries are mandatory. 3. Leave your email address so I can contact you. Winner will be contacted through email and will have 48 hours to respond or a new winner will be chosen. Use the Rafflecopter widget below to enter this giveaway. 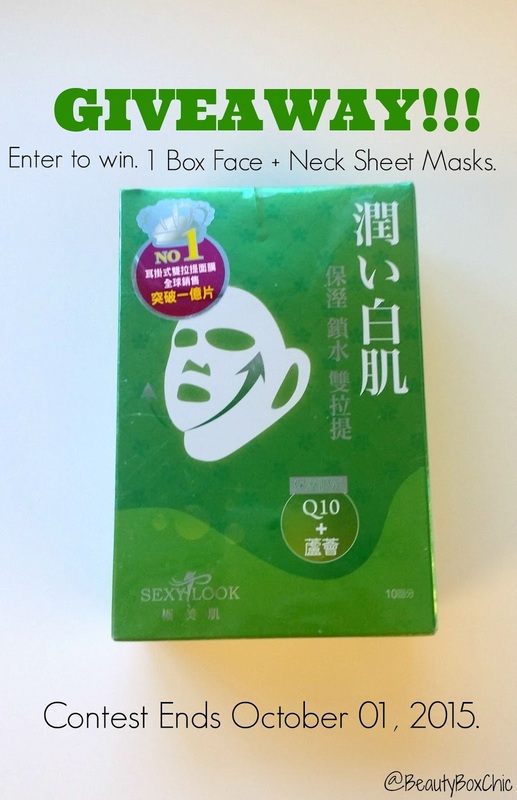 -OR- Click here to ENTER Sheet Masks Giveaway!!! If you havent entered my FIRST GIVEAWAY (Fresh Lotus Skincare Kit), please click here for full details. Contest ends Augsut 31,2015. Great assortment of masks. I have just tried the snail one among these. I'm so obsessed with face masks now! That rose one looks divine! I've used to always use sheet masks, I've tried my beauty diary, the ones from watsons, and recently thefaceshop. I want to try the eye/lip masks next haha. I've tried the Choosy Mask and found it so weird! Innisfree's masks are my favorite! They do really work after only one usage. I love peel off cucumber masks. Anything from the face shop I love! Lori R jackson is my rafflecopter name! My favourite mask are those fro Skinfood!